There is a bit confusion about this Bourbon. TWE and Ralfy states that small batch means that it comes from only four casks. This is NOT correct. 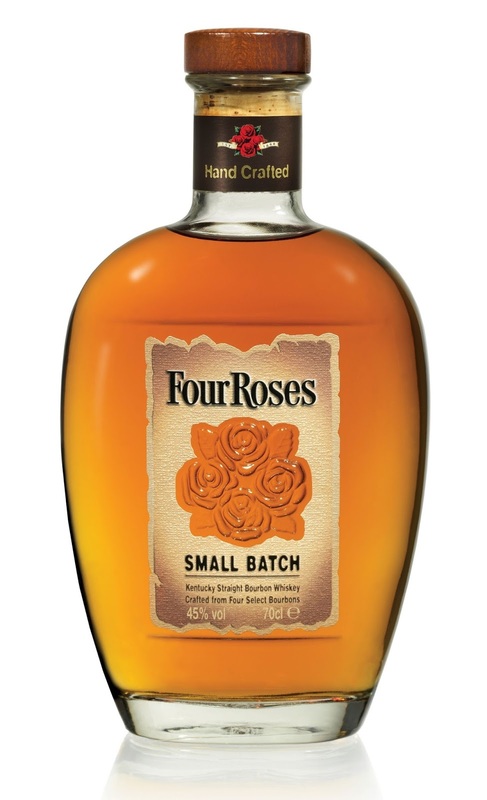 It comes from four different Bourbon recipes and not casks. Well, with that settled, lets get to the whiskey! Spices and red berries in the smell. The burned oak is very noticeable and leaves some sweet vanilla behind. Oak and caramel is the first that comes to mind in the taste. Again some spices and red berries, and it continuous into the finish. I get some mint in the taste and the finish as well… I am not quite sure, but I think it is mint! I am not an expert into Bourbon, but for me, this is a very classic example of a Bourbon. I must admit I miss some depth and complexity, but a fine experience into Bourbon. It has a code in the bottom that says ”42 21 177 13 15:09”. Maybe someone can enlighten me in what it means? I will give this 81/100 (19/21/21/20).